Chili Flakes - 1/2 tsp. Brown Sugar - 4 tbsps. 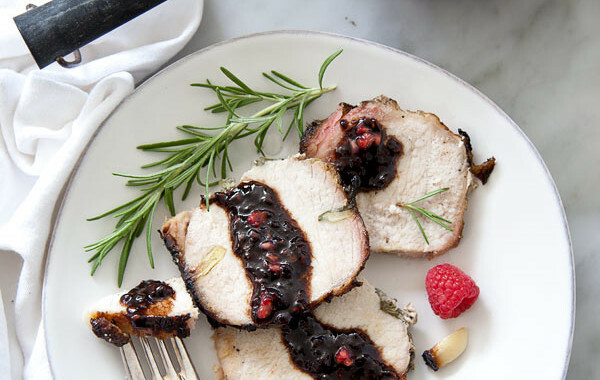 Set pork loin aside. In a large bowl or 6 quart measuring cup combine remaining ingredients and stir to combine. 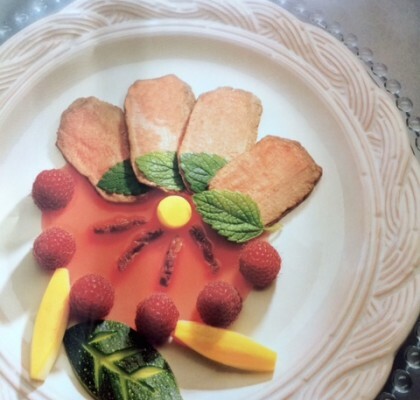 Remove pork from refrigerator for about an hour and bring to room temperature. Prepare grill to high heat. 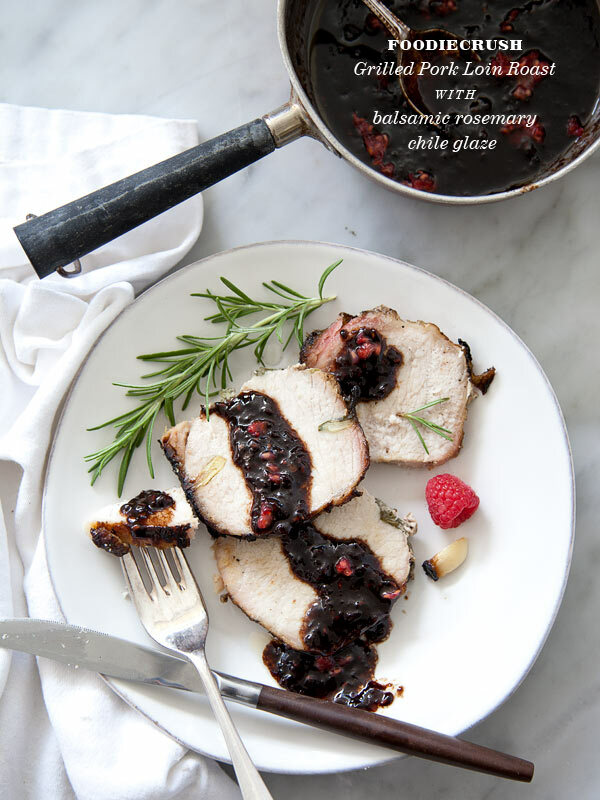 Remove pork from brine, but do not discard garlic, rosemary or parsley sprigs. Pat pork roast with paper towel to remove excess moisture. With a sharp knife make 1/2" deep incisions in the port about every 2 inches. Stuff garlic pieces and herbs into incisions on both sides of roast. Rub roast with olive oil and ground pepper. Sear pork on grill, 2 - 3 minutes on all sides until browned with grill marks. If using a gas grill, turn on side of grill to low bringing the internal temperature of the grill to about 300 degrees. Move roast to the non-heat side, with fat cap side of pork on top. 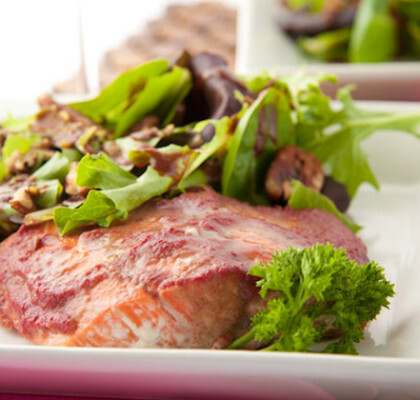 Close lid and cook for 45 minutes to an hour or until internal temperature of roast is 145 degrees. Turn roast every 20 minutes or so to ensure even browning. 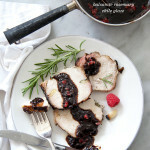 During last half hour of cooking, start Balsamic & Raspberry Chili Glaze (directions below). 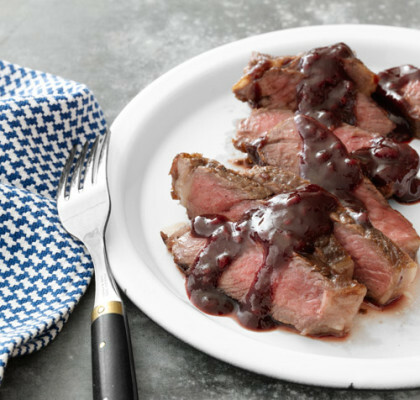 In a saucepan bring balsamic vinegar, brown sugar, orange juice, rosemary and chili past to a low boil, reduce temperature and simmer for 20 - 30 minutes until sauce thickens (you can tell if its thick enough if glaze covers back of a spoon) and reduces by half. Add raspberries and cook for another 5 - 10 minutes until raspberries become soft and break down when mashed with a spoon.